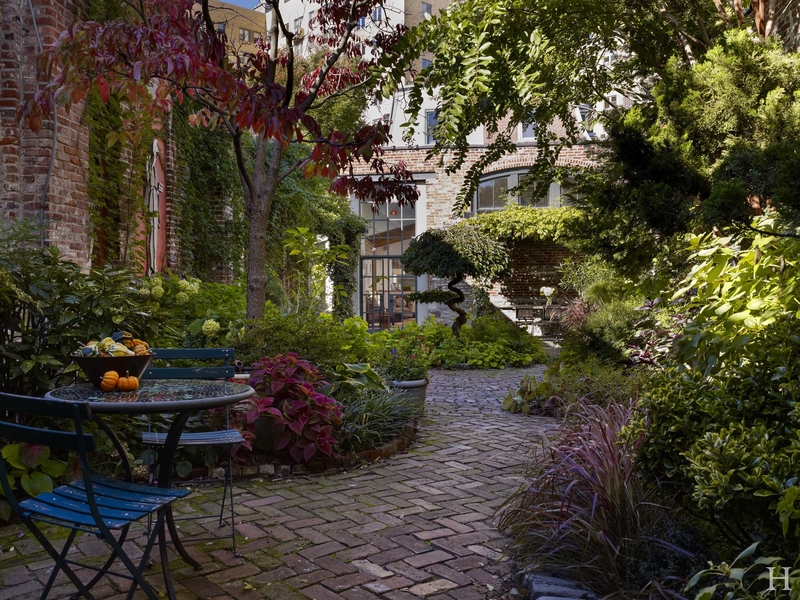 City Residence with Gardens – Hanson General Contracting, Inc.
Family-room addition connecting a three-story row house to existing two-story, brick-wall-enclosed garden. 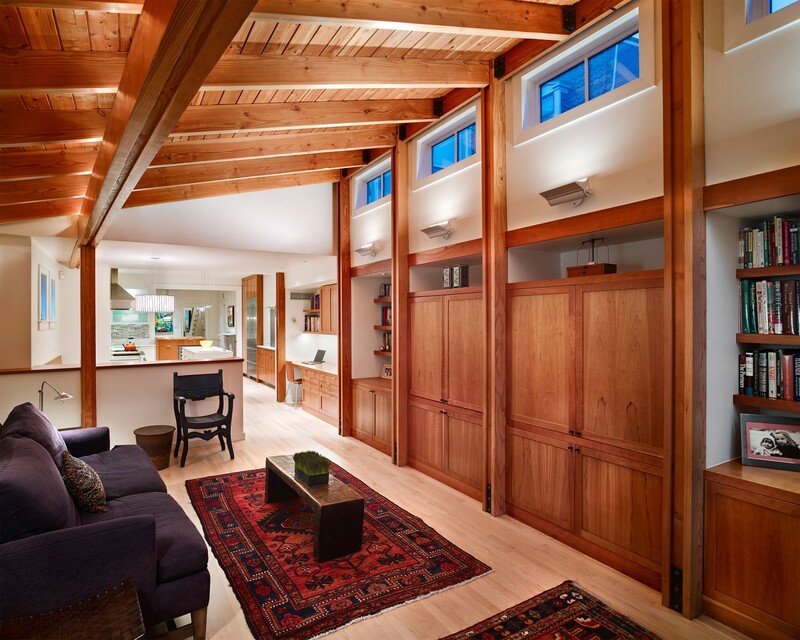 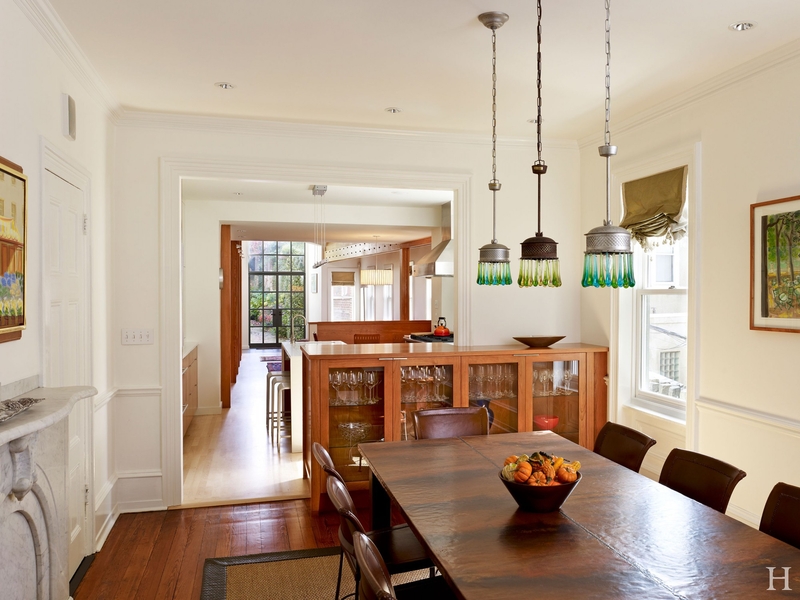 Exposed Douglas fir framing with cold-rolled steel brackets and connectors; built-in cherry cabinetry; new Hope's steel door and Pozzi windows; raised-steam metal roof. 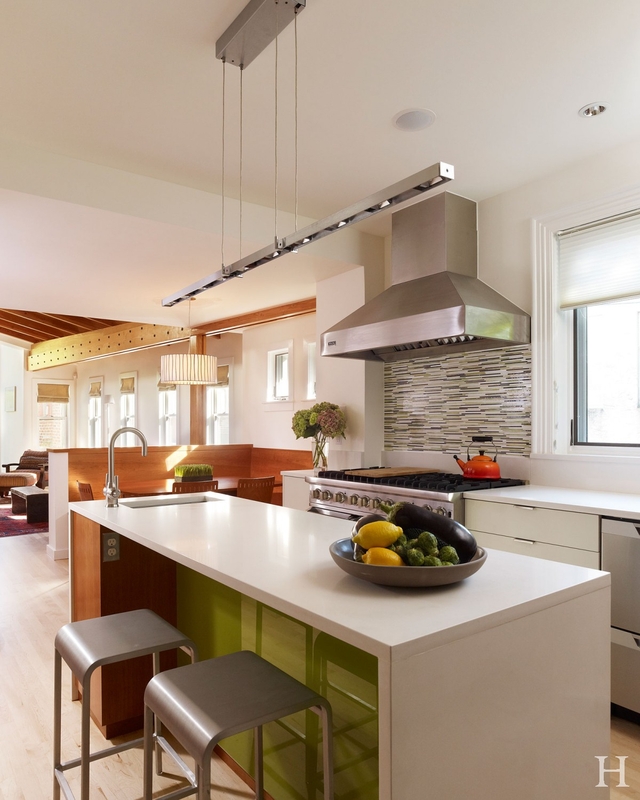 New kitchen adjacent to addition. 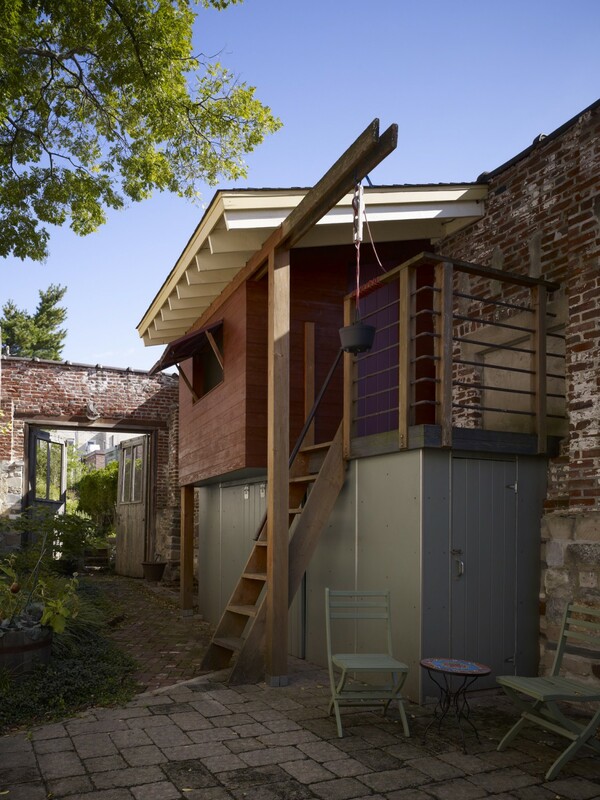 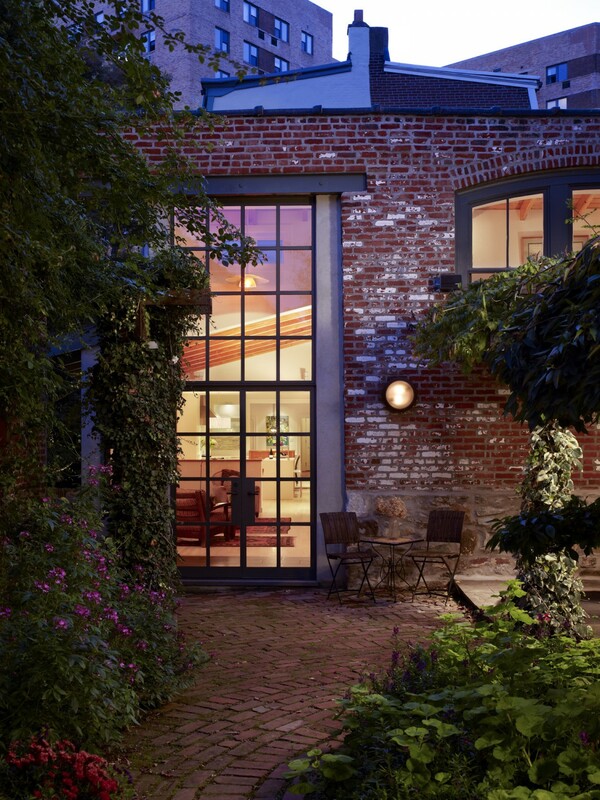 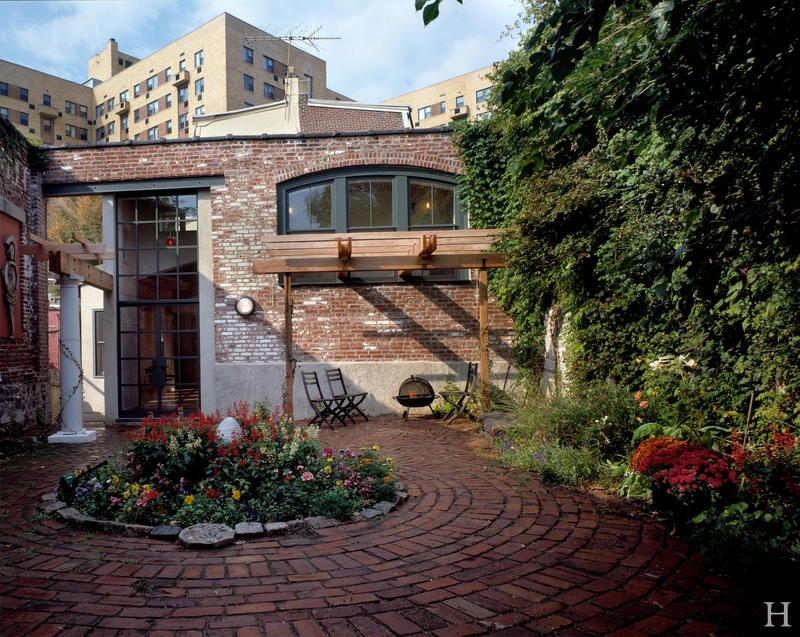 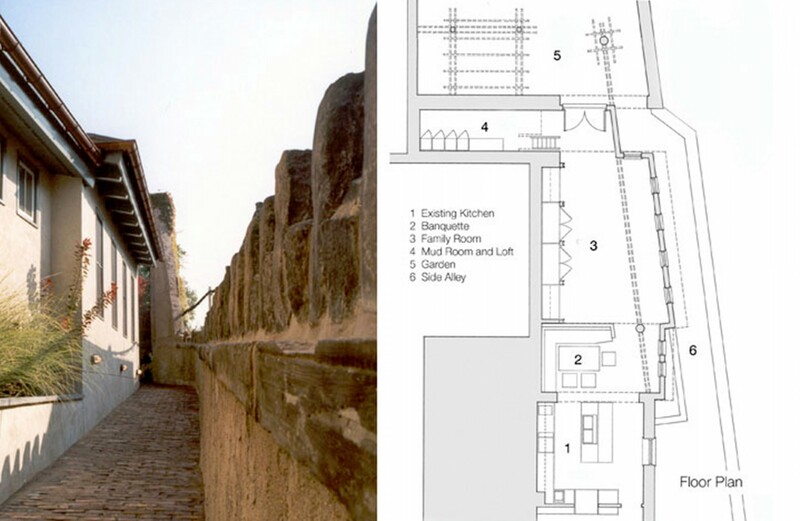 2,000 square-foot garden enclosed in the two-story brick walls of a former industrial building; new 14-foot steel door and window in existing opening as part of a rear addition connecting the back of the house and the garden.